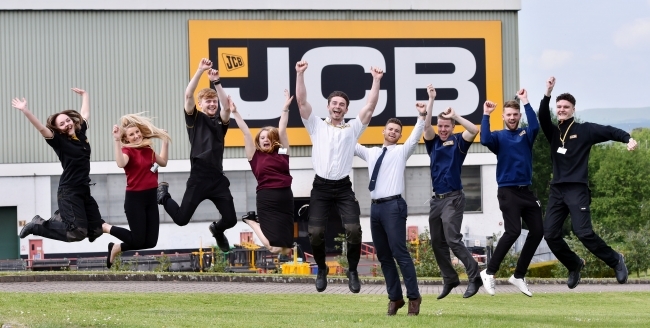 A group of young JCB employees are jumping for joy after securing a place in the national finals of a competition to find the apprentice team of the year. The JCB team paid 15 visits to schools and youth groups to speak about the benefits of apprenticeships and also hosted a business breakfast to encourage other employers to offer apprenticeships. They also undertook a community project at the NSPCC’s Staffordshire Service Centre at Carole House in Newcastle-under-Lyme, decorating an art room, renovating picnic benches and planting shrubs and flowers.